Established in 1992, Cloisters (UK) Ltd offers an excellent personal service. Our 1:1 tutoring is carried out by specialist tutors & is tailored to the specific needs of the pupil. We know that 1 to 1 tutoring helps build confidence & encourages the pupil to ask questions they would not normally do in a classroom in front of their peers. All levels, ages and abilities for school, college and university subjects. Primary, Secondary, GCSE, A level, SATs, Entrance exams, Degree, Adult, professional etc. We support the work carried out by schools, colleges, universities & they often recommend us. Local Based. Unlike organisations that operate from a national centre (often online), Cloisters carefully discuss and listen to the pupil’s need at the onset of an enquiry. Most of our enquiries are from personal recommendations and many families have continued with us for other family members. Our offices personally know their tutors and understand the local education system enabling them to accurately select and introduce, without obligation, the most suitable tutor. 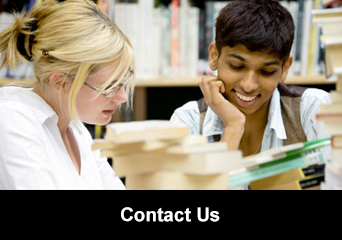 To find a tutor, simply click the button below to see what areas we cover. If you choose to go ahead with your tutor, you can make mutual arrangements with the tutor for content, times and frequency of lessons. Tutoring is on a lesson by lesson basis (no contract or monies in advance). Lessons can be terminated at any time by giving 24 hours notice. For more information on becoming a tutor, contact your nearest local office, through the ‘Areas Covered’ button. We invite all retired and practising teachers and lecturers, graduates, professionals and other suitable persons to apply to register with Cloisters. We appreciate the professionalism of our tutors and give advice and support to help them to maintain the high quality tuition that we deliver. Registration is free and there is no obligation to accept any tuition that is offered. Our work is mainly 1:1 in either the tutor’s or pupil’s home and is often in addition to the work done at school, college or university. Some of this home tutoring is for long term support and encouragement and some for specific help with revision and examination preparation.